Come along and play with Harry, a curious 3 year old bunny who loves exploring fun new things. Harry invites young viewers to go on exciting adventures with him as he learns new words and concepts, and playfully teaches them too! By staying in his close environment, Harry explores things in his backyard, his bedroom and other fun places young ones can relate to. 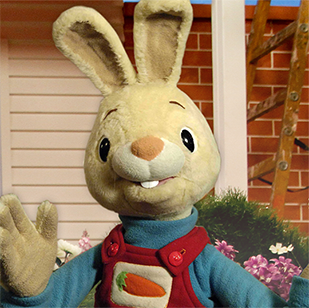 “Harry the Bunny” is an exciting new series that is sure to reach and entertain simultaneously. See what time Harry the Bunny is playing!